This is the second installment of the new series where I (and a guest blogger or two) explore what happens when the people, or organizations, we look up to let us down. Part one here. If you are reading this, you no doubt have some access to the internet, and internet news. Which means this week you have probably seen numerous stories firmly, or sometimes incredibly loosely, based on this weekend’s 10th Anniversary of the 9/11 terrorist attacks. Without a doubt, the world as we know it changed the day that nearly 3,000 Americans were killed in the NYC twin towers, and the Pentagon in Washington, D.C. It changed for many reasons. Americans no longer had the illusion of safety on their shores, the US government took new, historic measures to secure “freedom and safety” for its citizens, and personal liberties were no longer something any American took for granted. If you’ve flown or watched the news at all since 2001, you know exactly what I’m talking about. But those changes aren’t the only ones that have occurred in the ten years since. We’ve seen the President change from a two term Conservative white gentlemen, to a junior Senator liberal black man. Watched as Congress elected new members. And more recently, saw, and participated, in the rise of a new, vocal, angry political party that has an affinity for a certain traditional English beverage. In the ten years that have past tensions have rose, tempers have flared, words have been flung like arrows, and thousands of people have died in wars fought in the name of freedom. There is no doubt that some people, particularly those in disagreement with the current President, are mad as hell. I know this not just because I watch the news, but because many people that I love and care about, consider themselves members of this Tea Party. We fight on Facebook. Argue over Glenn Beck. Exchange email forwards. And it gets us nowhere. Because fundamentally, we will never agree on one thing, that is the root cause for so much of this anger. As unpopular as it is to say this week, the truth is, America is not a hero of mine. Before you encourage me to move to France and kick me out with your crocs, know that I am not anti-American. 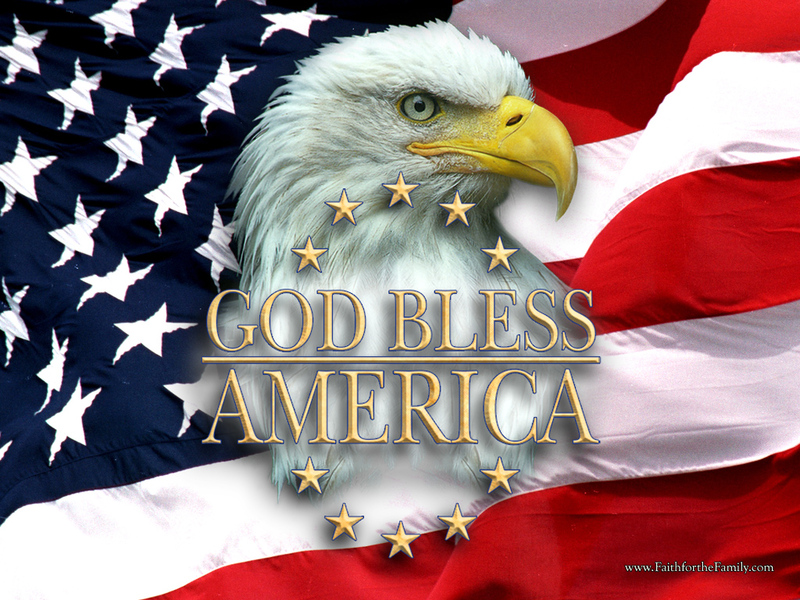 I am so grateful that I was born in this country, one of the safest, developed, and prosperous nations in the world. The opportunities given to me just because I am American are endless. This country is incredible, and I know it, and I gladly pay taxes, vote, eat hot dogs, and follow the laws of the land I live in. But I haven’t said the pledge in years. Or sang the national anthem. I don’t fly a flag. Yet, I harbor no hatred or disrespect in my heart for my amazing country. I just don’t participate in rituals that I feel declare my loyalty to the American kingdom, when my heart is loyal to God’s. I don’t believe that my country should be a hero, because America as an entity and ideal, is nothing more than a governmental structure. As a Christian, to hold it as anything more would be idolatry. What I hold in high esteem in America is not the documents, traditions, and laws that dictate how it’s run – but the people who reside within it. What baffles me is when people personify America (often as a sick, beaten up old woman) while in the same breath de-humanizing and vilifying the citizens within it who they disagree with. “America” is not a hero of mine, because I’ve seen what the idolatry of country does to people when the nation (or people running it) lets them down. The Tea Party happens. Islamic extremist terrorists happen. This happens. And this. People on both sides lose their minds, so overcome and driven with fear and anger, that they forget non-Americans and non-Christians are people. Living, breathing, thinking, feeling, people just like them, who God created the same. “America” is not alive. It does not breathe. Or feel. The people within its confines do. They are the ones who have spent the past 10 years recovering, and reeling, from the shock of the evil acts carried out by extremists on their soil. What amazes me is how many people who consider the nation of America heroic, forget that the attacks on 9/11 happened to every American. Gay, straight, Christian, Muslim, Jew, White, Black, working, or on welfare. We all had to adjust to the new world – some of us had to learn how to be hated for our religion. Some of us had to learn what it was like when family relationships fractured over political beliefs. But all of us – every one – was an American the whole time. This is not a new concept. America has never been made up of only one party, one way of thought, or one religion. When the people that call America heroic forget that the country was never theirs – is when they begin to forget that the nations true heroism lies in the ability of its citizens to co-exist.